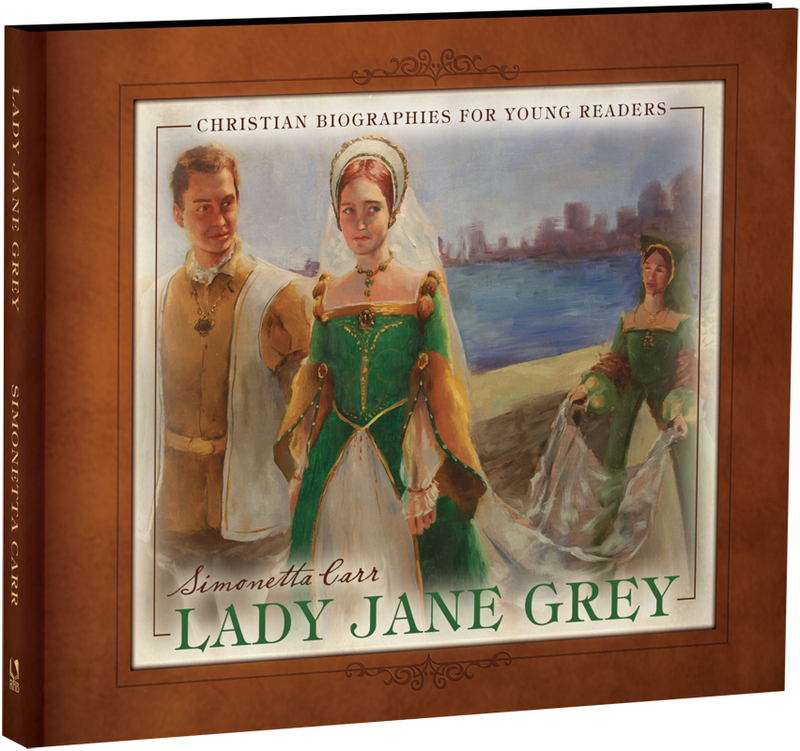 Simonetta Carr’s latest volume Lady Jane Grey from the series Christian Biographies for Young Readers (FB Page) has been released. In this she continues her wonderful effort to provide resources for children and parents, masterfully filling a large hole in quality children’s books teaching Church History. Lady Jane Grey is her fifth volume in this series following Augustine of Hippo, John Calvin, John Owen, & Athanasius. In this latest volume Mrs. Carr, with wonderful help from Reformation Heritage Books, expands this valuable series tracing the lives of faithful servants of Christ from ages past. In this volume she introduces us to her first female character from church history and in so doing provides us a glimpse into the life of a pious young lady who followed Christ even to the giving of her life. Having read Mrs. Carr’s other book Weight of a Flame: The Passion of Olympia Morata earlier this year with my eldest daughter, I was really looking forward to another book which both my girls would enjoy. You will find, in this volume, wonderful original artwork depicting Lady Jane Grey in her historical setting (featuring, I believe, some of Mrs. Carr’s children as the characters), maps, photos, historical images, etc. including an image of a letter written by Lady Jane to her sister; everything that makes for a quality volume in Church History, yet not what one has come to expect in children’s books. As for the story itself, it is well written, engaging & challenging. Your children will be informed as they learn more about history and challenged as they see a young lady who loved and followed Christ in difficult times. Once I receive my actual hard copy from the publisher (I was sent a PDF of the final version of the print edition to review) I will conduct a contest here to see who will win a copy! If you can’t wait until then, get your family a copy today! Get the whole series!